For the parents and Council level Free Throw winners. There is a new date, time and location for the next level of competition. Doors open at 2PM for check-in. Competition starts at 2:30PM SHARP! We’re sorry for any inconvenience this may have caused you. We hope to see you all on March 11th! VIVAT JESUS! 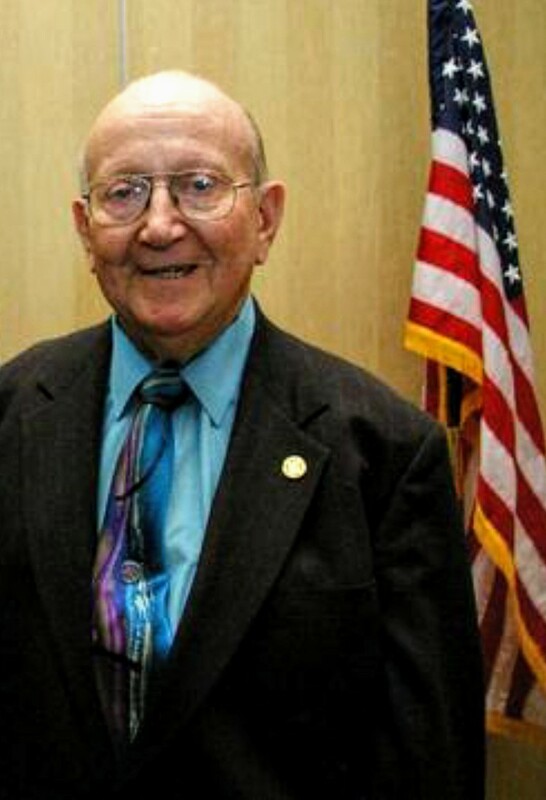 Here are the details on Worthy Past Grand Knight and Former Southgate Mayor Robert Reaume, who died on November 17th. Visitation for Brother Knight Bob is from 1 to 8 PM today, November 20th at the Southgate Chapel of the Molnar Funeral Home, 14032 Northline in Southgate. A scripture service is set for 7 PM tonight, (November 20th). I hope to see as many Brother Knights tonight as possible. He will also be instate at St. Pius X Parish, 14101 Superior Street in Southgate at 9 AM on Tuesday, September 21st. His funeral Mass will be at 9:30 AM. Please continue to pray for Worthy PGK Bob and his family. May his souls and the souls of the faithfully departed through the Mercy of God rest in peace. Amen! I was saddened to get the news this afternoon that Worthy Past Grand Knight Bob Reaume had passed away. No additional details are known at this time. They will be passed along when I know. May his soul and the souls of the faithfully departed through the mercy of God rest in peace. Amen! This message is especially for our 1st and 2nd Degree members. Did you know that you are not a full Knight? Would you like to be? We have a VERY RARE OPPORTUNITY for 1st Degree members to advance in the degrees of our Order by attending a 2nd and 3rd Degree ceremony (commonly referred to together as a Major Degree). This exemplification will teach you more about our Order and will teach you more about your Catholic Faith… I promise! This event is happening IN OUR DISTRICT/AREA at All Saints Council 4872 (24900 Brest Rd near Telegraph in Taylor https://goo.gl/maps/ywLtqeri7R72 ) THIS SATURDAY, SEPTEMBER 30th. This doesn’t happen often, so it’s a great time to become a 3rd Degree Knight. Since this is in our district/area, I want to make a good showing from our Council. If you can attend this event, please contact Deputy Grand Knight Dave Sajdak by email at membership@kofc3956.org or by calling him at 313-415-6023. We need to know IMMEDIATELY so that we can reserve a spot (and food) for you. I really hope to see you this Saturday and welcome you as a FULL Knight of Columbus! Join your fellow Brother Knights, Parishioners of St. Pius X, and others who BELIEVE IN LIFE for the 30th Annual LIFE CHAIN, on Sunday, October 1, 2017, from 2:00 – 3:30 PM. Meet at Fort Street near Eureka Road. In the DOWNRIVER area, we will peacefully line the sidewalks of Fort Street all the way from Lincoln Park, and down thru Southgate, Wyandotte and Riverview. *Stand up for LIFE from the moment of conception to the last natural breath. *We are a lawful, prayerful, quiet Christian witness for LIFE. *Bring your whole family! Be a light in a darkened world and help end abortion! *Signs will be provided and available on Fort Street near Eureka Road. Following the LIFE CHAIN, there will be an Open House at Right to Life of Michigan Resource Center, 2010 Eureka Rd., Wyandotte, MI 48192. (734) 282-6100, www.rtl.org . This is just a reminder that our Council Family Picnic is TODAY at PLAV Post 7 starting at 1PM. VIVAT JESUS! Due to the continued construction in the St Pius Social Hall kitchen, the location of our August 2017 meeting has changed. We have A LOT to discuss, especially the St. Pius Parish Festival as well as the Council Family Picnic and Downriver K of C Family Picnic (CLICK HERE FOR FLYER), so I hope that you call can attend. If you have any questions, email me at raybilyk@kofc3956.org . Hope to see you all there!